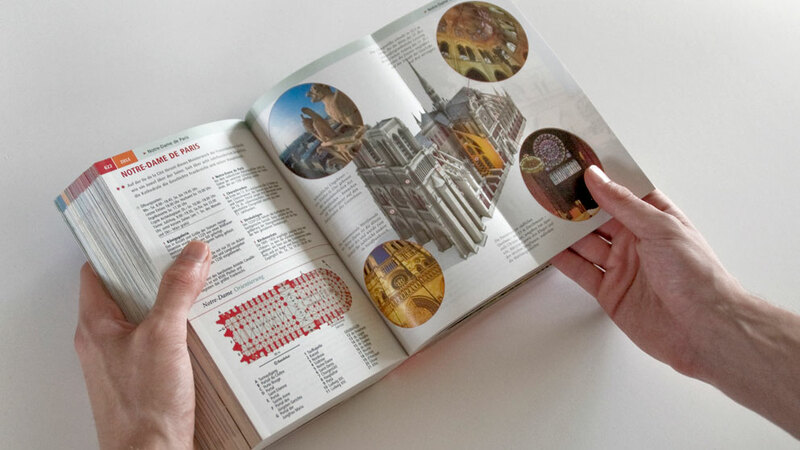 For the new edition of all Baedeker travel guides a new presentation system has been developed to present the most significant buildings. 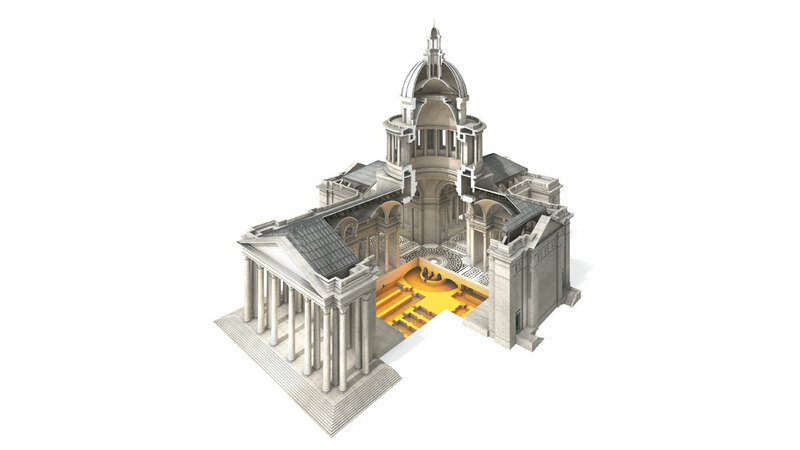 Special foldout sides present computer-generated perspectives of buildings, ships and civil engineering works. Cross and vertical sections visualize essential interior conditions. As a result, constructions as well as architecture are made comprehensible on the first glimpse. 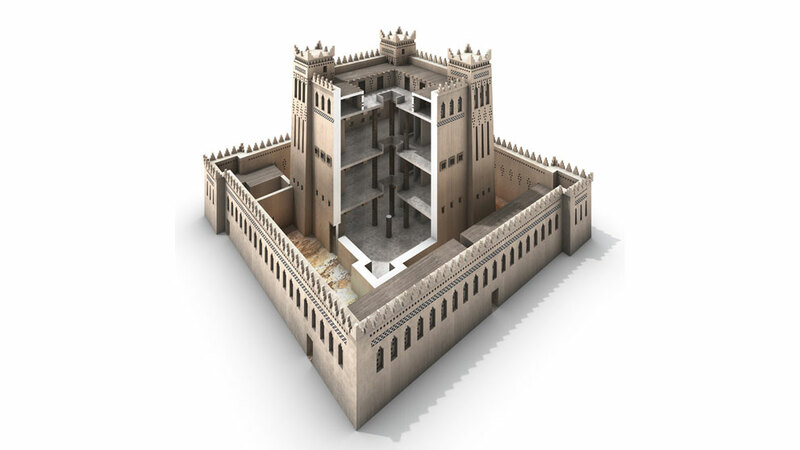 Reconstructions of antique sites impart an understanding of how buildings looked like in earlier times. In close cooperation with the editorial department of the publisher, the sites to be depicted were defined. The development process included researching all vital building information, the exact scientific modeling of their overall structure and details as well as abstracted graphic texturing, illumination of the models and even renderings. The high resolution of the pictures allowed for zooming into building details.